Been seeing this running around on teh nets for a hot minute. It’s looking real good like. Aluminum’s definitely the new hotness. The LOW mki road is available as a frame ($2450USD) and with builds starting at $4300USD. They are handbuilt in San Fransisco, U S of A. 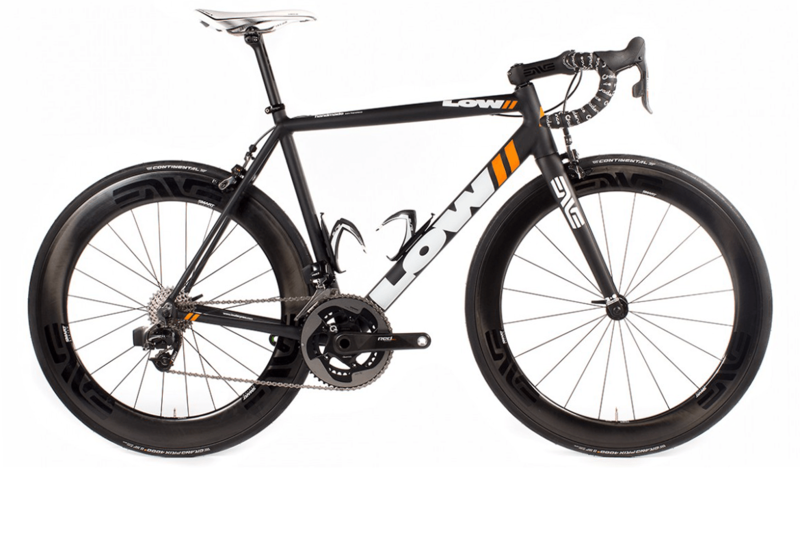 For all the details, check out the full press release below, and/or visit LOWBICYCLES.COM. San Francisco, CA – As aluminum specialists, Low Bicycles is leading the rebirth of USaluminum bicycle frame fabrication. Where craftsmanship is concerned, these are truly the best aluminum frames money can buy. With their second-generation lineup of thoroughbred racing machines, Andrew Low and his team are pushing the limits of what is possible for a small scale outfit to design and build in-house with aluminum. Their process of shaping proprietary tuned and butted aerospace grade aluminum tubing yields an aesthetically pleasing finished product with precise handling, comfort, stiffness and superior strength. Most notably, every frame exhibits beautifully smooth welds that are second-to-none in the aluminum bike world. As a small batch manufacturer, Low Bicycles produces 20 +/- frames a month, allowing Andrew and his team to give laser-focused attention to quality and craftsmanship – details that are often compromised as the level of production goes up. Their unique approach has definitively set them apart from the rest of the industry. With a refined, responsive geometry and custom oversized aluminum tubing, their bicycle frames are aggressively quick and fiercely durable, but thanks to their in-house engineered and shaped FLEXshape tubing system, there is just the right amount of give built in when it’s needed to go the distance. Low Bicycles is exceeding the high–end bike world’s expectations of what a well-made aluminum bicycle frame can be. go the distance for the grueling long haul. This frame is exceptionally stiff, responsive and painstakingly tuned for comfort. For performance-oriented and quality-conscious riders who are serious about training and racing, the mki road is a flat-out solid performer.